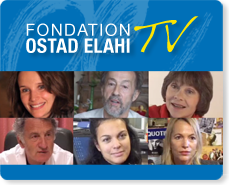 The Ostad Elahi Foundation and research scholars in the field of Applied Ethics at the University of Rimouski and the University of Sherbrooke in Quebec have begun a collaborative relationship in which the Foundation introduces the work of these scholars in France. To date, five books on this subject have been published (the link returns to the corresponding page in French). What is a charitable Foundation recognized by the French State? - © 2017 Fondation Ostad Elahi. All rights reserved.